No one expects to need a criminal defense attorney, but whether it’s a DUI or a domestic violence offense, when the need arises, it’s essential that you find an aggressive attorney who will fight hard for your rights. When you do choose a defense lawyer, the process of understanding the details of the case, scheduling court hearings, going to trial, and all of the little steps in between can be stressful, overwhelming, and emotional. At Donahue Law Firm in Bend, Oregon, our team of experienced and aggressive attorneys will do what it takes to ensure that you are represented to best of our abilities. Our firm is dedicated to providing a strong defense for everyone who needs it, regardless of the situation. Having represented hundreds of cases, individuals, and unique circumstances, we understand that having to work with a lawyer can be frustrating, but our hope and our goal is that the process is as smooth and as easy to understand as possible. Establishing and maintaining a positive and effective attorney-client relationship is incredibly important to us, and we want to make sure that you feel respected and that your thoughts, worries, opinions, and needs are heard throughout your case. As you’re working closely with your criminal defense attorney, here are some things to consider that will help make each step of the process as efficient as possible. This is easily one of the most important things to consider as you’re working with a criminal defense attorney. How you communicate and how often can directly affect the outcome of the case. Your attorney will be your voice throughout the process and will represent you and the details of the case to the court, to opposing counsel, witnesses, and other individuals who are active behind the scenes — the more effectively you can communicate with your attorney, and your attorney with you, the better the outcome will be. When communicating with your lawyer, whether it’s in person, over the phone, through email, or over a video service, try to be as concise and clear as possible. When communication is kept simple, it will be easier to keep track of requests, questions, and other important correspondence. If you regularly use email to communicate, keep a single email thread rather than creating separate emails. Communication between you and your defense lawyer can vary depending on the case, your schedules, and several other factors. When you initially start working with your attorney, you can discuss how often you would like to be in contact with each other. 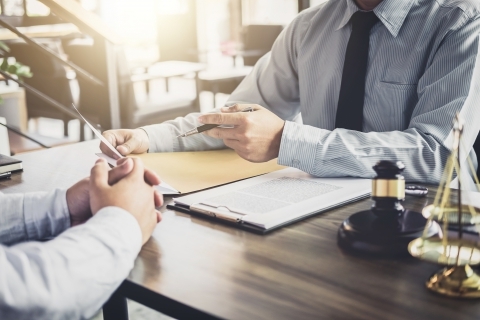 More complex cases tend to require more consistent communication than low-level cases; but whatever the situation is, it’s best to have an established rule of communication so that in the event that you need to get in contact with your attorney, you can. From the first consultation with your criminal defense attorney, it is essential that you communicate all of the details of your situation, whether you think they are important to the case or not. When your lawyer has all of the details of the case, they will be better able to represent you. A note on attorney-client privilege: the attorney-client relationship generally begins when both the lawyer and the client agree to it. However, in the case of consultations, when someone is seeking legal advice, that communication is confidential. This is true even when the client hasn’t paid any fees or hired the lawyer. It is important, however, to ask a potential attorney if and when communication will be kept confidential. At any time, when an issue arises, it’s important that you feel comfortable talking the matter over with your lawyer, and this begins with having a relationship based on trust. Keep in mind that trust goes both ways as well. Your lawyer will do their best to make decisions as quickly as possible, to respect your opinions, and your time, and they will try to set clear expectations from the beginning so that everyone is on the same page throughout the case. Communication and trust are the foundation of any successful relationship, and this is no different for your relationship with your criminal defense attorney. When there is a mutual respect for each other’s time, opinions, and needs, honest and clear communication, and an unwavering trust, this is the basis for a successful case. 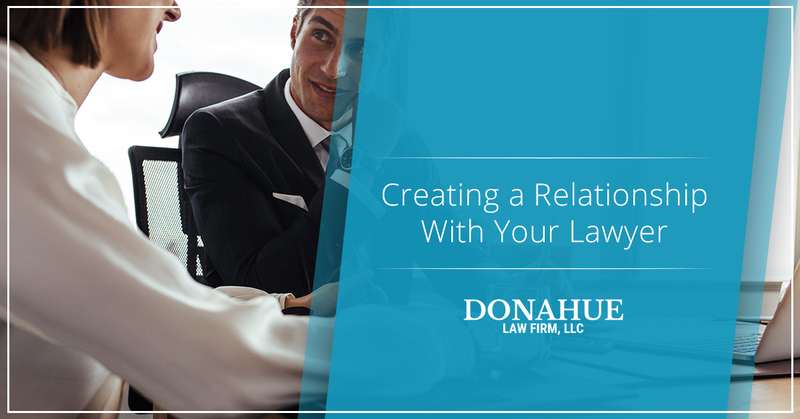 At Donahue Law Firm, our team is dedicated to the success of each of our clients. While it’s important to realize that not all cases are successful, we believe that we have what it takes to create strong relationships with our clients, and various people involved with the case, in order to create a solid defense. If you’re in need of a criminal defense attorney, contact the team at Donahue Law Firm today. From your initial consultation, we can assure you that we have your best interests at heart.